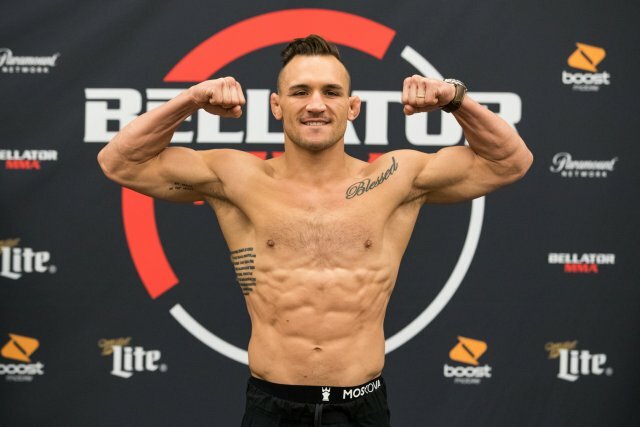 Keep your fingers crossed, but Michael Chandler may finally get his rematch with Brent Primus when Bellator MMA heads to Hawaii later this year. 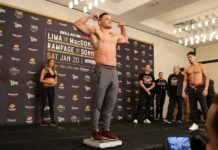 In a fight over a year in the making, Michael Chandler may finally get the chance to rematch Brent Primus for the Bellator MMA lightweight championship. As first reported by USA Today/MMA Junkie, Chandler vs. Primus 2 will headline the pomotion’s “Salute the Troops” event in Hawaii this December. The show comes a day prior to Bellator 213, also in Hawaii, which will see Ilima-Lei Macfarlane defend her women’s flyweight title against Valerie Letourneau. The Salute the Troops show will be free for U.S military members, plus their friends and family. The show is being hosted with the support of the USO (United Services Organization). Chandler (18-4) is a former Bellator lightweight champion known as one of the most exciting fighters in the division. His pair of duels with Eddie Alvarez remain absolute classics. 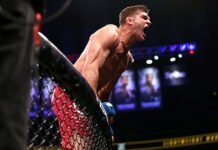 However, Chandler lost the title to Brent Primus at Bellator NYC last year, after suffering a leg injury during the fight. In the months that followed, a rematch would fail to materialize, and Chandler publicly stated he was moving on from Primus. That said, Bellator has consistently looked to make the fight happen. Primus (8-0), however, has not fought since defeating Chandler for the title. Bellator NYC took place in June 2017. While Primus has been idle, Chandler has picked up wins over Goiti Yamauchi and Brandon Girtz. Chandler is also a former Bellator tournament winner. Bellator: Salute the Troops takes place December 14 at Neal S. Blaisdell Center in Honolulu, Hawaii.